Chinese philosophy and metaphysics is an uncharted territory to many. The concept is as mysterious as it is intriguing. How well do you know about this aspect of science and art? Sharon Q, Founder and Principal Consultant of Feng Shui Luck Consultancy, specializes in private consultation on the Chinese art and practice of creating harmonious surroundings that enhance the balance of yin and yang. 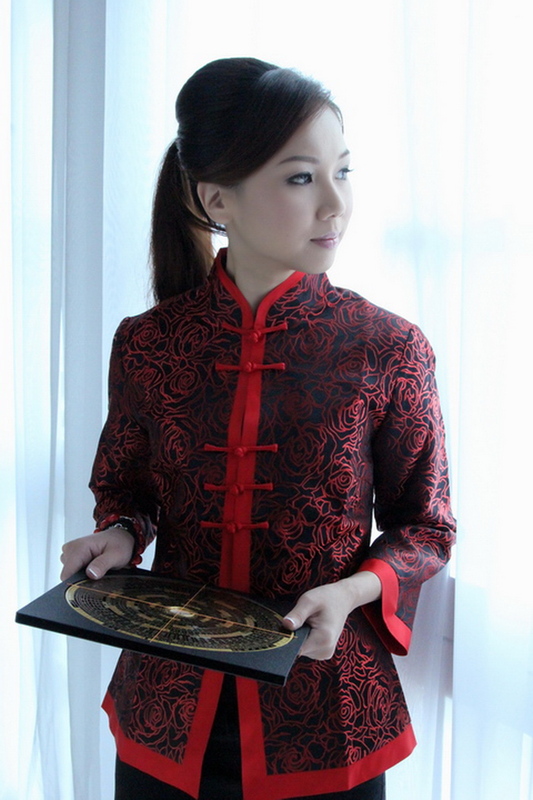 We have the honor for an interview with Ms Sharon Q on further insights on the Chinese Art. How has Chinese art changed your way of life? Initially it was more of an art than science for me, as I would use wealth (money) to build upon wealth by buying auspicious objects to place in home in the hope to bring me more luck. But it struck me differently as in the latter life; I learnt that life interacts conspicuously with the surrounding amongst us. This form of Classical Feng Shui, I considered it so scientifically tested, as much more elements of time and space dimension are examined towards pursuing continuous improvement. In this sense, harmony in relationship, good health and wealth. Over time, it distinctly crafted my notion on Feng Shui. Now, I made wise choices in most of the time engaging with the right person, at the right time, and that benefitted me remarkably. I face lower hurdles in managing people relationship from partnership at work to different helpers at home that took great care of the family over the years. Good affinity with people does work wonder! Of the greatest leverage on Feng Shui journey by far, I would say it is choosing my children’s destiny. In my personal perspective, it is of utmost importance to ‘gift’ a great head start to a beautiful life; designing a destiny that will receive as many good luck years as possible, and further elevating this acquired knowledge to guide others. What kind of problems do people consult you for? Typically for personal consultation, most people are concern with the progress of their career and business, if they are able to make a change or take a leap. As for wealth aspect, inquiries that pour in are new ventures for business partnership or investment. One of the most commonly received consulting would be relationship, and majority of these are questions based on relationship issues of couples, mainly between husband and wife or individual singles seeking for love. In general, being known for as a Chinese Metaphysic consultant, there are inevitably huge calls for Feng Shui remedy for houses or commercial units. Besides, there are also many consultations for happy events like selecting a new house, or an auspicious wedding or renovation dates. Which is your more popular metaphysical subjects? The subjects would be classified into 3 main groups, divination, destiny and physiognomy. I would say each possesses its own beauty. There are those who are keen into divination, by forecasting happenings or predicting the good and bad luck. There are also many who are into reading up destiny, understanding one’s fate and luck by tapping the knowledge from the art and formula of Four Pillars of Destiny (Ba Zi) or Purple Star Astrology (Zi Wei Dou Shu). For Physiognomy, there are further breakdowns into many different subjects such as face reading, palm reading, name analysis, Yin and Yang house feng shui. Based on Yang house Feng Shui, it derived many topics that interest others to research and analyse on. The popularity of the subject is still dependent on the individual, usually Feng Shui enthusiast goes to the extreme of learning most of the subjects in the three groups, as it is interlinked and also derived from a same base concept. How has some of your customers feedback on your specialization? At first, most of my clients were filled with initial curiosity when they had their first touch of consultation, due to limited experiences with Chinese metaphysic or vague experiences with one or two previous consultation with other masters. Along the way, as we go through the stages of consultation together, I’ll illustrate on why certain dates are for general usage where others are unique to them or rather why some Feng Shui techniques work better than others, I got to know from my clients that it guides them better, and increase their general awareness on how Feng Shui should be done and broaden their views perpetually. As we grow through the years, some of my clienteles who bought their properties came back for annual review or introduce more clients to me; it is indefinitely the best feedback for me. Being authentic and knowing my work is far-reaching. Do you think Chinese art is losing its ground in a highly globalizing nation like Singapore? Contrary to losing its flavor, I believe that it will still be popularizing. This art has been around for centuries, it is neither a superstitious belief nor a religious thing so anyone will be able to practice this art. Unlike the past where misconception were formed due to bogus Feng Shui master, these days the younger generations are well-educated on the subject itself. In one-way or another, we are linked to Feng Shui; we can’t ignore the dynamic of the universe with the presence of surrounding energies and magnetic field, and luck flow that fluctuates with time and motion, this explains the changing factor on why we feel some days are better than others. Hence, in this flourishing society, there are others seeking to manage positive expectation in life and therefore will be associated. This is made so with the current groups of practitioners who are adopting, practicing and spreading this art getting younger by the age.